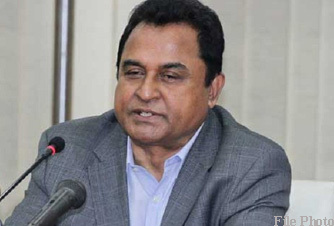 Finance Minister AHM Mustafa Kamal on Thursday said there will be no Non-Performing Loan (NPL) from today as Bangladesh Association of Banks (BAB) is going to take necessary measures to check the loans. “Now NPL becomes a matter of grave concern, but it is still in a manageable position. From today, NPL will not increase and BAB will take necessary initiatives to cut the existing classified loans,” he told reporters after a meeting with BAB at the Planning Ministry in the capital. BAB Chairman Nazrul Islam Mazumder and others directors of the association were present at the meeting. Kamal said the government will prepare a guideline to verify all the classified loans in the banking sector and will take necessary steps for checking the loans. “BAB will give us a list of loan defaulters, their borrowing amounts and interest amounts. We will verify the list in line with data of the central bank and the Financial Institutions Division. Then, we will prepare the guideline and go for action,” he added. Nazrul said BAB is going to take necessary steps against NPL with support from the government. “Comparing the neighbouring countries, the existing rate of NPL is not a matter of concern for us. We’ll take all kind of measures for reducing NPL from today,” he said. Nazrul said BAB will present the whole scenario of NPL before the government within one month so that it can take further steps to cut the existing rate of NPL.